Curtis is the owner of Innovation Electric and has been involved in the electrical industry for 10 years. He worked as a Lighting Manufacturer Rep for 2 years where he developed his skills in lighting layout and design. He then decided to pursue his Red Seal Journeyman Certificate and is now in his 8th year as an electrician. 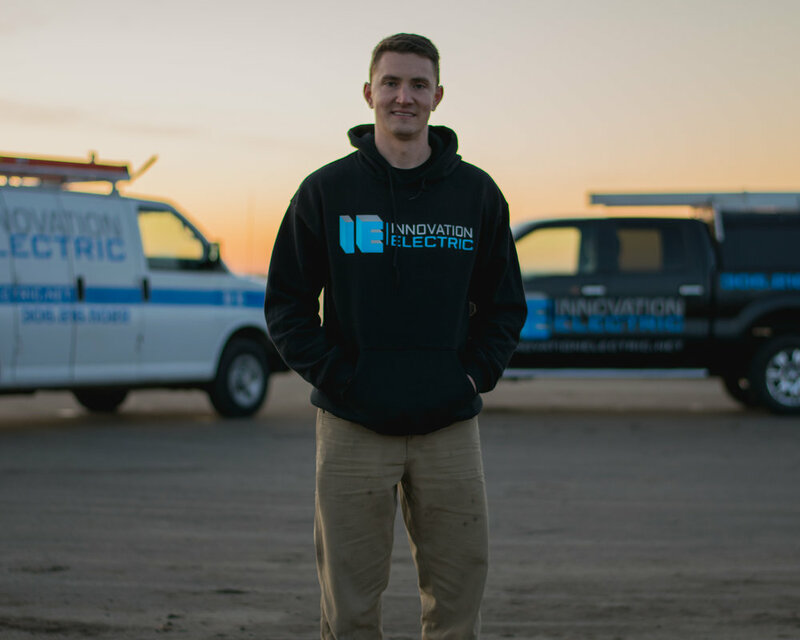 Curtis started Innovation Electric at the start of 2017 with the idea of bringing the latest methods and technologies to the electrical industry in Regina and Southern Saskatchewan. The Team at Innovation Electric is motivated, hard-working and personable. They have the knowledge and skills to perform a wide variety of electrical installations and provide cost saving solutions and suggestions to our customers. Our vehicles are always fully stocked with ladders, tools, and material to get the job done right and efficiently. Our truck is equipped with 4x4 to access remote areas in all weather conditions. Innovation Electric is an electrical contractor serving the Regina area with quality service you can trust. You can be sure that our confident and experienced journeymen have the skills and ability to take on your project. We are detail-oriented and know that it's the little things that can make a big difference. We are fully licensed, insured, and bonded. Our customers are our number one priority. We will ensure all work is done to the highest standard. We work closely with our customers to make sure the job is completed to their satisfaction.